is high (above 4.7v) or low (below 2.5v). It could also be a low (less than about 1K) or high (greater than about 19K) resistance pot, or a broken wire or connection (either end of the pot) or a short to the pot. The controller will behave as if the throttle is at zero while the fault persists. 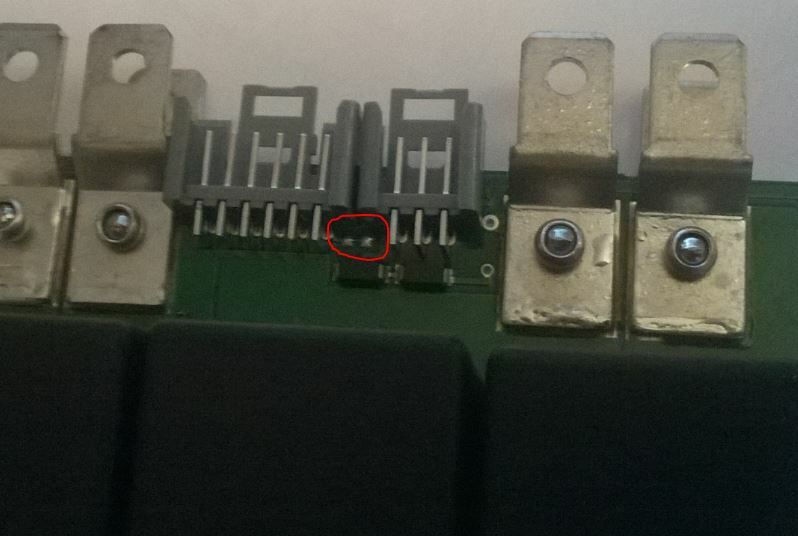 There is also a very thin track on the PCB adjacent to the 3 and 6 way connectors, it’s circled in red in the picture below… This is actually a scratch through link that allows modifications to the input circuit but under certain short circuit conditions we have seen this act as a 3rd fuse track and blow. If this does happen to your controller then just bridge the pads with some 1A fuse wire.